Affected by the recall are 1,627 model year 2013 Cadillac ATS and XTS vehicles, and model year 2014 Chevrolet Impala cars. The vehicles in question may suffer from brake lamps that flash without the brakes being applied and cruise control that may disengage without warning. The recall impacts roughly 800 Chevrolet Impalas and 800 Cadillac cars. According to the National Highway Traffic Safety Administration, flashing brake lights pose a serious threat to the driver of the vehicle, as well as other drivers on the road. The unintended flashing of brake lamps could falsely signal the following driver that the lead driver is slowing to a stop—thus increasing the risk of a crash. GM is expected to begin notifying customers of the recall Friday, June 7, 2013. Authorized dealers will reprogram the body control module at no cost to the owner. Owners may contact Cadillac at 1-866-982-2339 or Chevrolet at 1-800-630-2438. GM’s recall number is 13158. Concerned drivers may also contact the National Highway Traffic Safety Administration’s Vehicle Safety Administration at 1-888-327-4236 or go to www.safercar.gov. The NHTSA recall campaign number is 13V220000. The Detroit automaker first discovered the electrical defect on an ATS vehicle at the Lansing Grand River Assembly plant on May 7. A brief investigation traced the problem to a supplier error. There have been no customer complaints, crashes or injuries reported, according to GM spokesman Alan Adler. 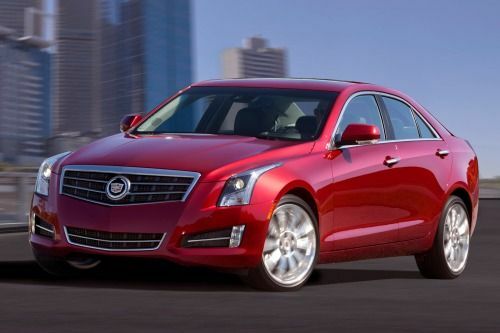 The news marks the first recall for the 2013 Cadillac ATS and 2014 Chevrolet Impala. GM previously recalled 12,626 model year 2013 Cadillac XTS sedans due to a rear seat head restrain problem. According to documents filed with the NHTSA, the rear head restraints may not lock in the upright position after they’re folded forward. The November recall affected models manufactured between October 2011 and August 2012. Despite the recall, GM received positive news earlier this week when its May sales figures arrived. The automaker’s sales grew 3 percent in May—primarily thanks to its luxury division, which saw a sales jump of nearly 40 percent. The total brings GM’s year-to-date gain to 37.6 percent, its largest increase since 1976. Leading the way were the ATS and XTS—two of Cadillac’s newest models. In fact, GM sold 3,249 ATS vehicles last month, bringing its total so far in 2013 to 15,724.